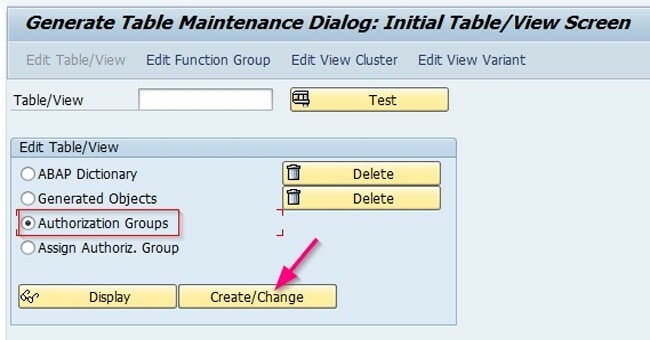 Go to SE54 give the table name and choose authorization group and then click on create/change. You can create an authorization group. You can assign a table to authorization group Z001. (Use transaction SM30 for table TDDAT) A user that wants to access this table must have authorization object S_TABU_DIS in his or her profile with the value Z001 in the field DICBERCLS (authorization group for ABAP Dictionary objects). Don't we need to carry out any other steps? For example, do we need to assign authorization objects to an authorization group? Where are the values maintained against this authorization group? what about for multiple tables?? ?